Whether at rehearsals, an audition or backstage before a show – students show off their Vocal Power pride with VP Swag! Michael Luwoye rehearsing for his role of Hamilton on Broadway. Broadway star, Callan Bergmann, working out with style in his Vocal Power, LLC tank. 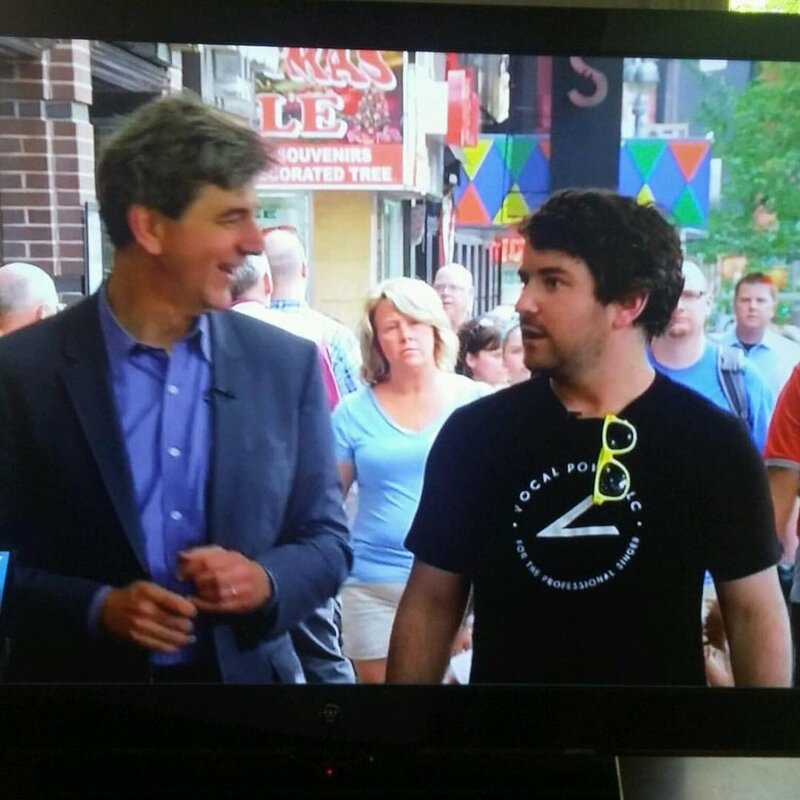 On NY1, student and 2016 Tony Nominee the great @abrightmonster sporting his VOCAL POWER LLC shirt for his TV interview at Cronut! Hannah Ellis wearing her Vocal Power shirt! She is one of the stars of the new Broadway musical BRIGHT STAR! BBoy and VP student, Michael Capito aka Suitkace, on the Today Show with 252 others and @pmthouseofdance setting a record for the largest street dance performance. Ginna Claire Mason, the day of her Broadway debut in her dream role as Glinda in WICKED! Actor + musician MiG Ayesa showing his Vocal Power pride all the way in Rome! The amazing Heidi Giberson, as Cosette in Les Miserables on Broadway. The very talented Andy Huntington Jones, aka Prince Topher on the national tour of Cinderella, having a skype lesson. Morgan James showing off her super power technique.